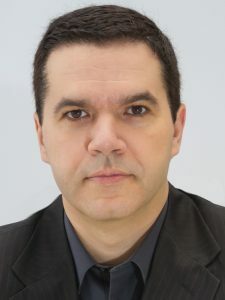 I am Associate Professor of Computer Science at the Institute of Informatics of the Federal University of Rio Grande do Sul (UFRGS), Brazil. I hold Ph.D. (2001) and M.Sc. (1998) degrees in Computer Science, both received from UFRGS. From September 2007 to August 2008 I was a visiting researcher at the University of Twente, The Netherlands, with the Design and Analysis of Communication Systems group. I’m a member of the Computer Networks Group, where I develop research projects on network and service management. As an Associate Professor, I’m also involved with supervision and education activities on undergraduate and graduate courses in both Computer Science and Computer Engineering. In these pages, you will find information about my current activities, the research projects I’m involved with, publications, information for students, and network management in general.